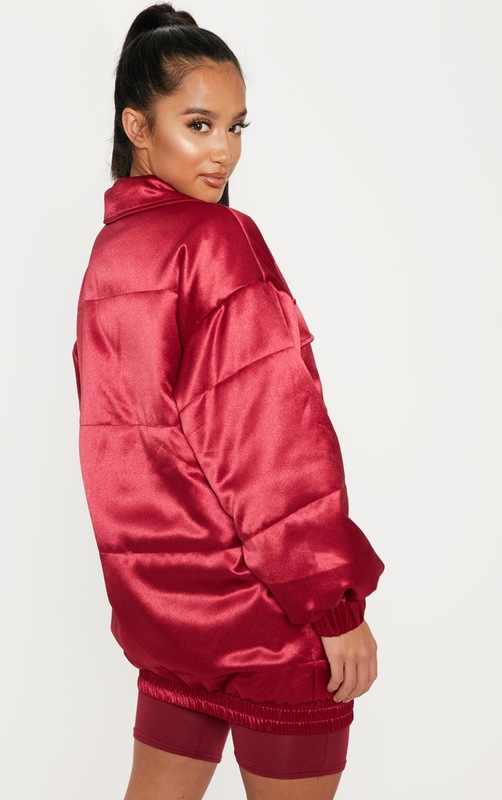 Complete your look with this on trend bomber jacket. 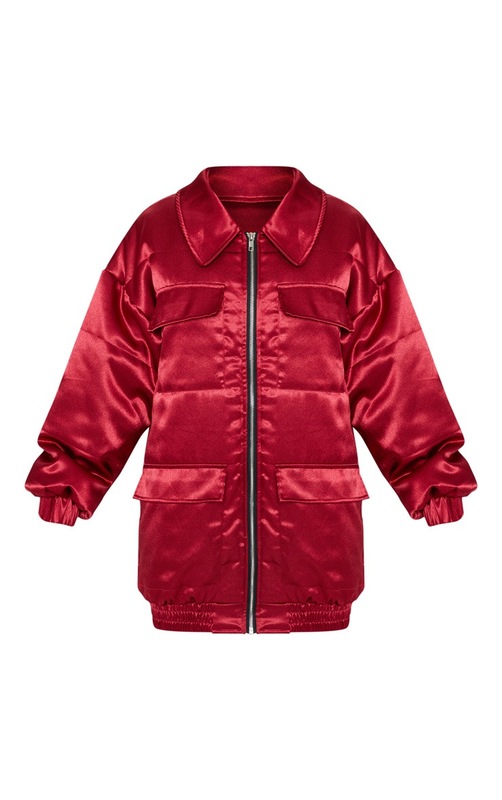 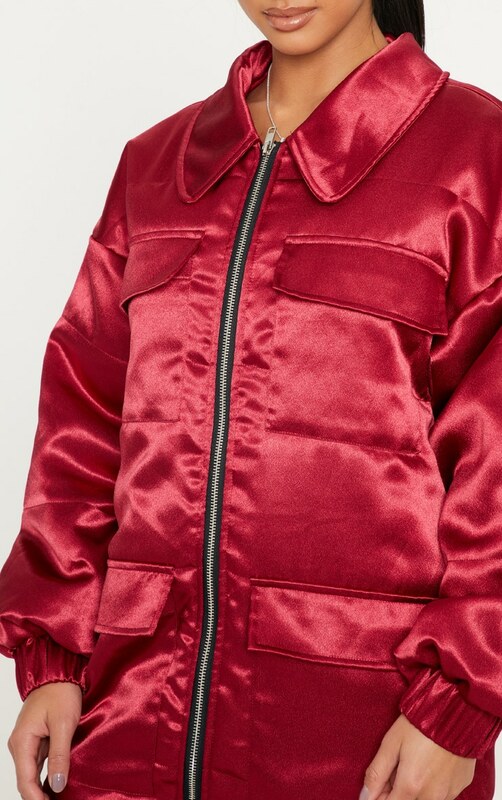 Featuring a burgundy satin fabric, longline length and flat collar, what's not to love about this jacket? 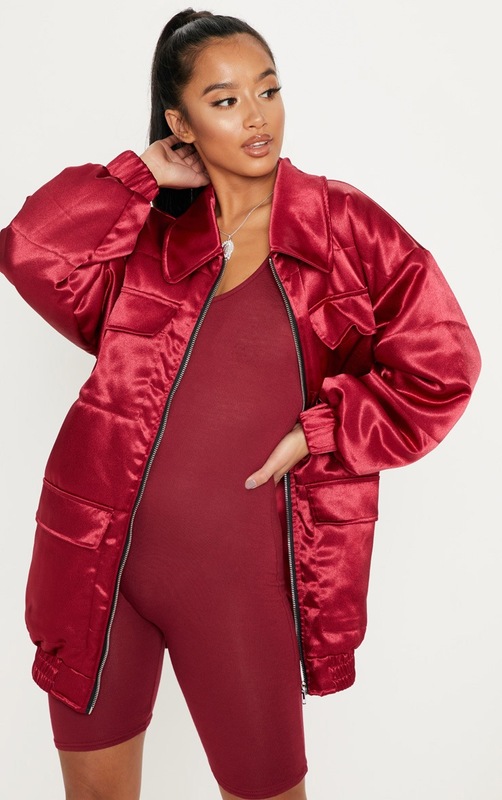 Style over a burgundy unitard and complete this killer look with sock boots for a look we're seriously vibing.